Man in the Mist is another episode from the British "Partners in Crime" TV series. This effort was telecast in the US as "Tuppence and Tommy", in reference to sleuthing married couple played by Francesca Annis and James Warwick. This time, Tuppence and Tommy Beresford are vacationing in an art-deco hotel in the provinces. By and by, a murder is committed: because of the perpetual mist surrounding the hotel, witnesses can provide only a vague description of the culprit. 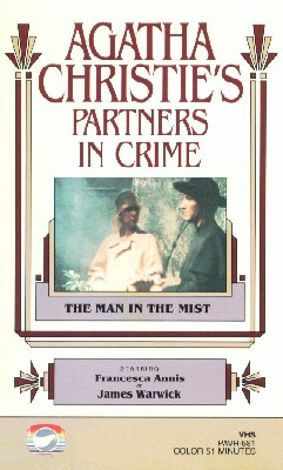 Man in the Mist was telecast in the US on PBS' Mystery anthology.